Born in Cuyahoga Falls Ohio, Michael has traveled the world. He spent four years of his life in Luxembourg Europe. In Europe, he had the opportunity to communicate with a plethora of diverse people. On top of communication, he traveled to different countries and explored different cultures. After traveling to nearly every European country and China, he discovered a passion for public speaking and acting. 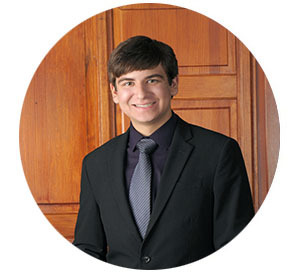 Michael found that joining his high school mock trial team was the perfect way to develop such passions. After being a four year member and best attorney at his high school, the dream of being on Miami’s talented mock trial team was strong. Michael looks forward to competing on a collegiate level and developing a bond with his new team.